Tesla is shaking things up for Nvidia. Rumors have been swirling that Tesla is looking to build its own chip to operate future self-driving vehicles. Now, a new report from CNBC adds more evidence to that speculation. CNBC cites a source familiar with the matter who claims, “The carmaker has received back samples of the first implementation of its processor and is now running tests on it.” Furthermore, Sanjay Jha, CEO of GlobalFoundries, a semiconductor foundry, listed Tesla as an example of a company working with chip fabricators. The company has since responded that “Tesla has not committed to working with us on any autonomous driving technology or product,” and Jha’s comments were reported to be out of context. It became evident that Tesla was interested in building their own chip when they hired chip architect Jim Keller, who has previously worked for AMD and Apple. Since Keller’s hiring, Tesla has also brought on other big talents from AMD like director Ganesh Venkataramanan, Bill McGee, a principal hardware engineer, and Dan Bailey, a system circuit design lead. The source added that there are as many as 50 others working under Keller on this project. 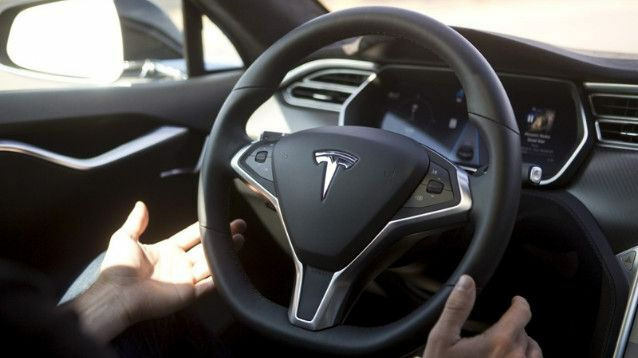 Tesla’s current autopilot systems are running on chips made by GPU makers Nvidia. The move to make their own chip would help to make Tesla more self-reliant for its processing needs. The company is aiming to create vehicles that are truly autonomous, and building their own chips will give Tesla more control over the direction that development takes and complete ownership of the resulting technology.